settle in New York City, arriving in the 1920s. This was more than half a century before South Asians immigrated to the US en masse in the 1980s. highlights the lives of those within an earlier South Asian American generation, but also reveals the activities of a political pioneer. only passed down through family tradition and storytelling. were maritime laborers and peddlers. stories of earlier South Asian migrant workers. their communities and offered social support for new immigrants who moved in. Ibrahim Chowdry, a Bengali community organizer in New York. Asian maritime workers on shore leave in the city. Laila Chowdry, Ibrahim’s daughter, described her father in the book as a key community leader. 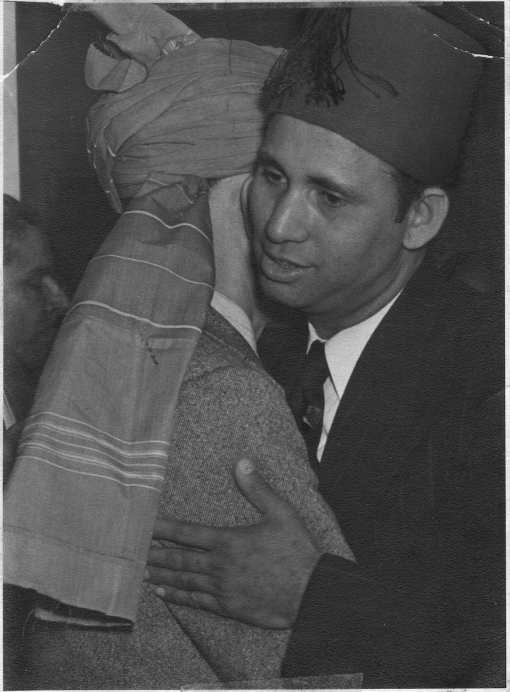 father, Habib, was a close friend of Chowdry’s, said Chowdry knew Malcolm X personally. same neighborhoods as the Bangladeshi immigrants and the two groups would debate each other over religious practices. of rapid change, as well as turbulence on issues of race and immigration. They arrived in America where Jim Crow laws were in full effect and interracial marriages were banned outright. This climate pushed these early immigrants to build coalitions and rely on multicultural communities. It prompted these Bangladeshi men to see Puerto Ricans and Blacks as their neighbors and political allies. depend on humanity instead of discriminating against it,” Ullah said. Today, efforts to cross the racial divide are rare. Community organizing often splits along race and ethnic lines. of whom are educated engineers and Ivy League graduates, seldom share working class struggles, or promote intercultural unity. marriages from that era will come forth to share their stories. my roots in Bengali Harlem, and I could not be prouder.